Happy Thanksgiving week! We'd like you to meet Laura Drahozal, a new addition to our G&P Design Team. 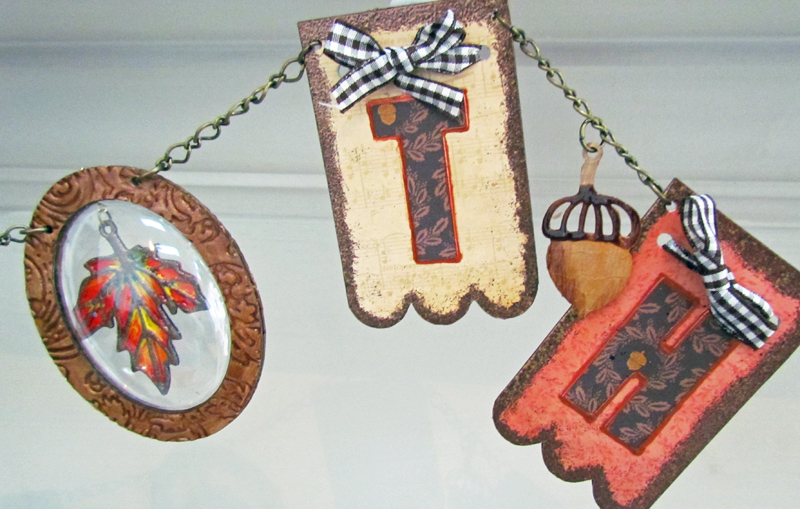 She's crafted this colorful holiday banner she intends to use year-after-year. Read on for instructions on how to make your own. 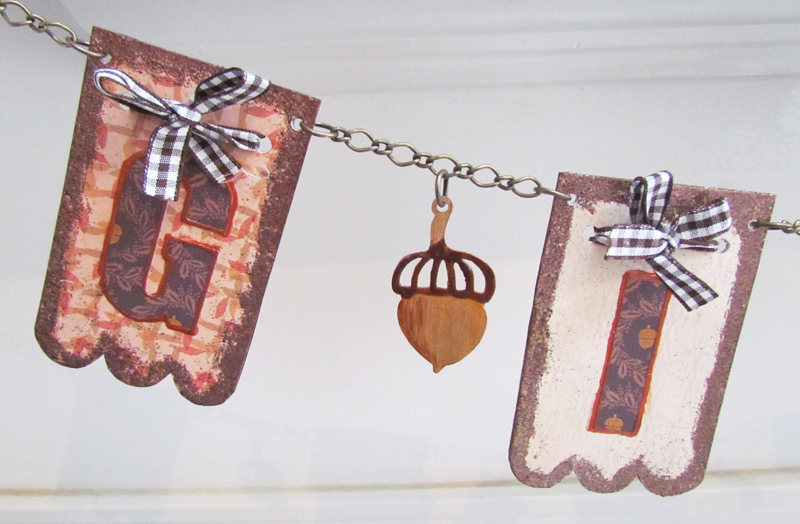 Then hop on over to her blog to see even more G&P crafty goodness! 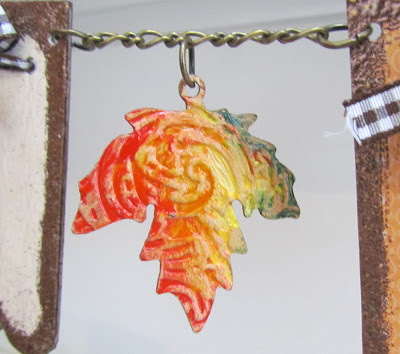 I am so excited for my first post on the Globecraft Memories blog! Today, I present a Thanksgiving banner that features one of my favorite products, the 3D Enamel Gels. 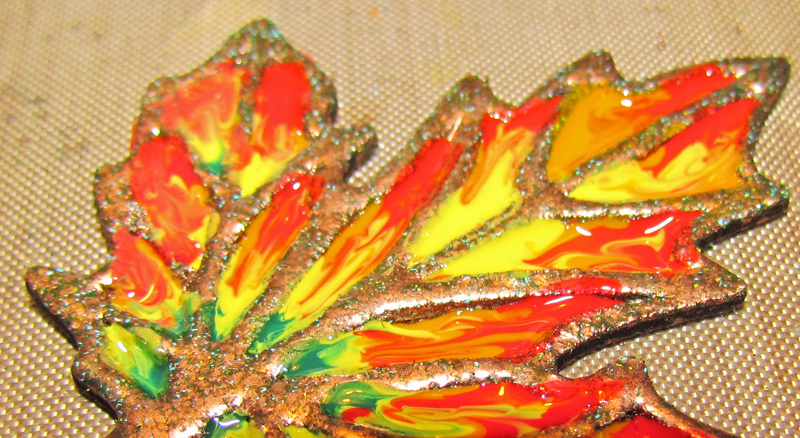 1) Paint acorns, three leaves and two ornament frames with metallic gold dabber. Let dry. 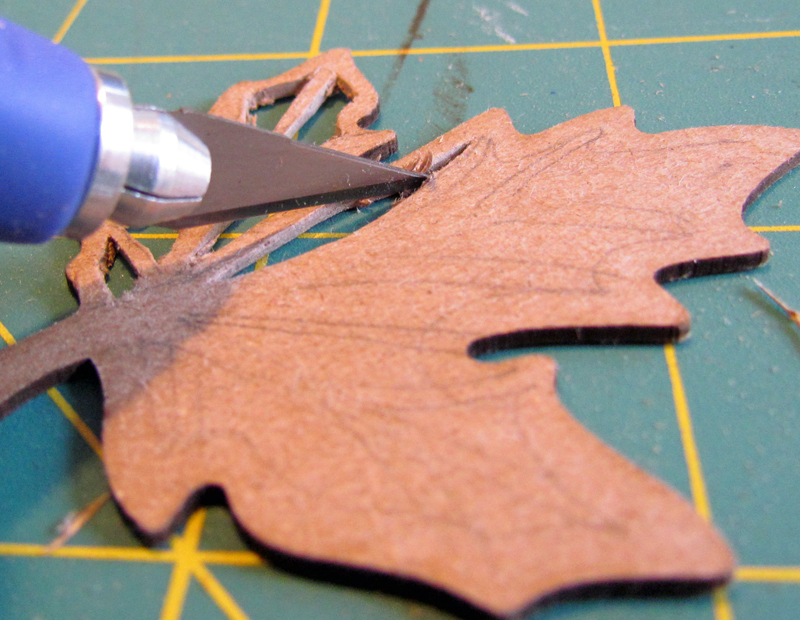 2) Run leaves and ornament frame through the manual die cut machine with the embossing folder. 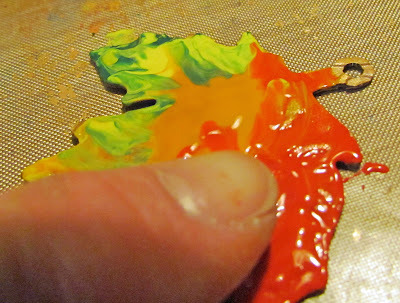 3) For each textured leaf: place fall colors of 3D Enamel Gel in strips down one side of the textured leaves. 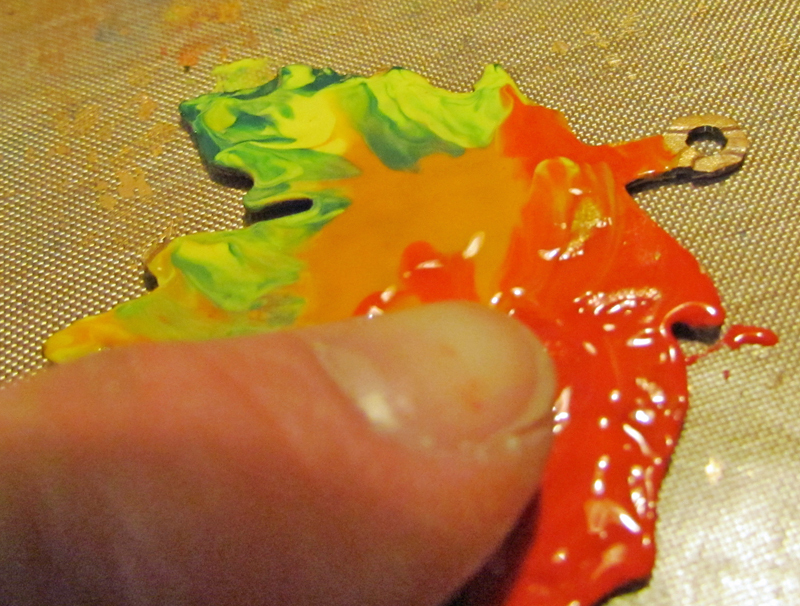 4) Use your finger to blend the enamel colors together. 5) Let sit for a few moments. Then lightly rub the excess enamel off with a flat finger covered in paper towel. Let dry completely. 6) Use a paintbrush to paint the Yellow Ochre on the acorn bottoms. 7) Use the paintbrush to paint the shadows on the acorn bottoms with Burnt Umber. 8) Use Burnt Umber from the bottle on acorn cap. Let dry. 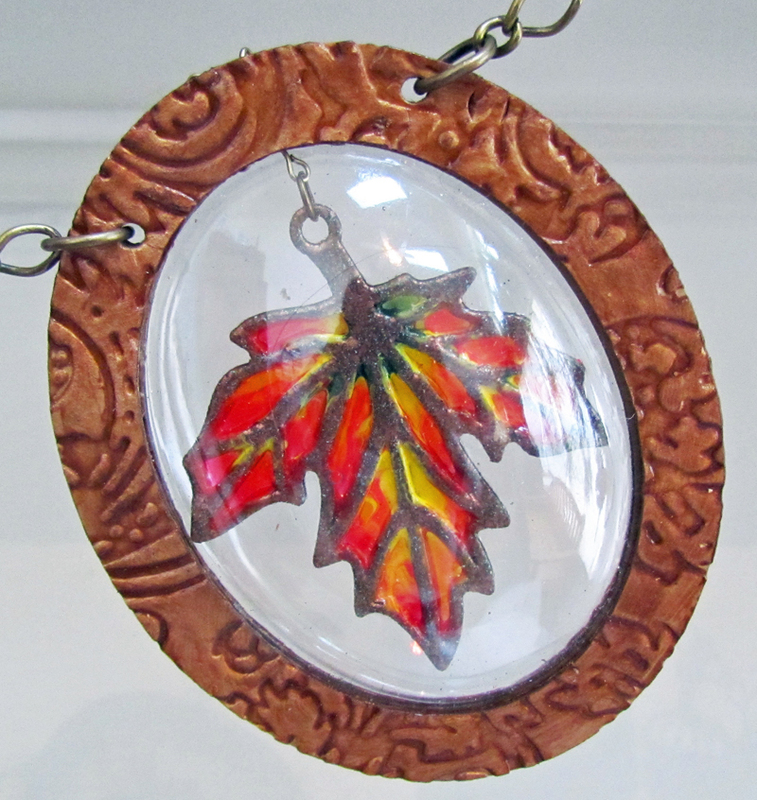 9) Use pencil to draw vein lines on remaining leaf bezel. 10) Use self healing mat and craft knife to cut out wells from leaf. You will need to make several passes to cut through the bookboard, but it is so strong that it will tolerate having fairly small remaining areas after the cutting. 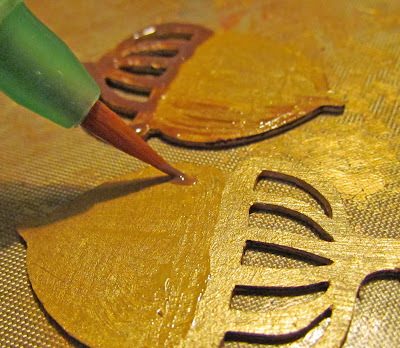 11) Use Enamel Powder Adhesive and Vintage Copper Enamel to heat emboss leaf. 12) Use Glastique to attach leaf to acetate. Let dry. 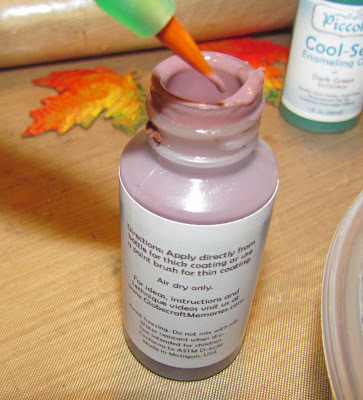 13) Squeeze Enamel Gel in fall colors into the wells you have created. Place the colors right next to each other in each well. 14) Use straight pin to swirl the colors together. Let dry. 15) Trim excess acetate with craft knife. 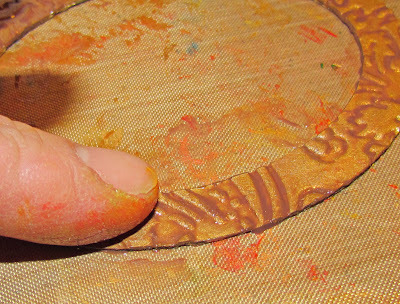 16) Add Burnt Umber to ornament frame. Spread with finger and let dry. 17) Assemble ornament with leaf inside. 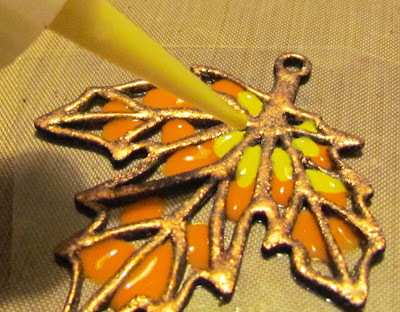 Use jump rings to attach leaf and Glastique as glue. Don't forget to use binder clips to hold while Glastique sets up. 18) Use manual die cut machine and alphabet dies to cut out your message. 19) Attach paper from mat stack to chipboard with Glastique and let dry. Trim excess paper. 20) Use Enamel Powder Adhesive and Victorian Bronze Powder around edges of pennants. Heat set. 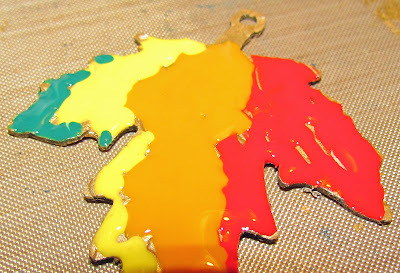 21) Attach letters to pieces and let dry. 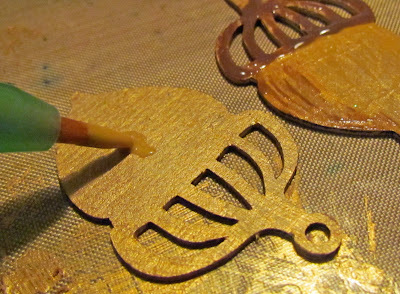 22) Use Copper 3D Enamel Gel to outline letters. Let dry. 23) Use Big Bite to create holes in pennants and ornament. 24) Attach sections of chain with jump rings to create banner. 26) Use jump rings to attach bezels. This banner was enjoyable to create with all of these great Globecraft products! I consider it my "mantle jewelry" and am planning on using it year-after-year. Part of my love of Globecraft is my current obsession with the 3D Enamel Gels, and I tried to use it in every way I could think of.....for now. Oh wow, LOVE it! Just gorgeous. Really beautiful banner. 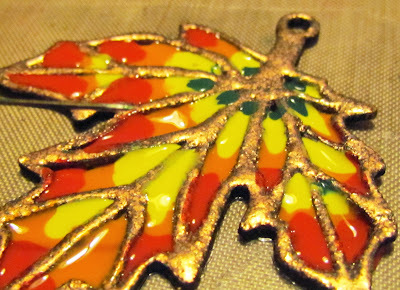 Love that filigree leaf! The gels look wonderful in that - colors are very pretty. 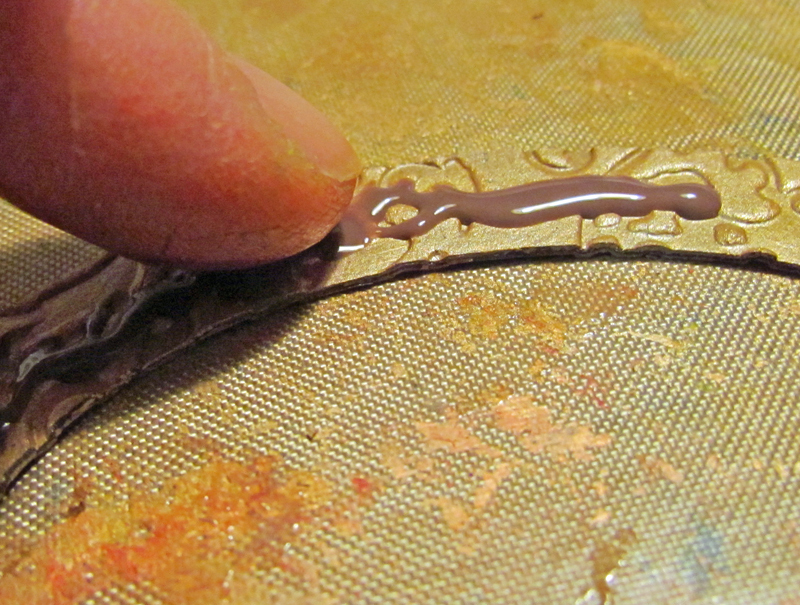 I'm super impressed by the use of the enamels in the negative spaces!! Wow! I love how you used the enamels. This banner is gorgeous!